Official statistics maintained by the Land Registry show that the average house price in the UK (as of March 2018) is £224,144. That figure represents an increase of some 4.2% compared to the previous year – indicating that an investment in property is likely to yield at least as good a return as any savings account and many other forms of investment. Having made that investment, you also need a way of protecting and safeguarding its value against the many threats of loss or damage it might face – from events such as fire, earthquakes, explosions, storm damage, flooding, impacts (by vehicles or from falling trees and branches), vandalism and theft. 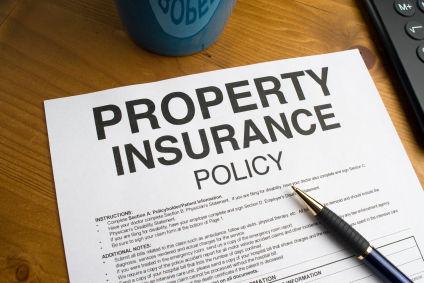 So, let’s take a closer look at what that property insurance entails. Your home is likely to be one of the most expensive items you buy in your life. Which UK life insurance provider is currently offering the best welcome gift? Are you entitled to the free gift and when can you claim it? Award-winning life insurance broker, Reassured, have carried out an extensive review into the best 3 life insurance and over 50s plans that come with a free gift. Read on to learn all about the best offers available today and why they may not be quite as good as they first appear. Letís begin with the UK’s largest insurer, Legal & General, who are offering new customers up to £150 Amazon.co.uk or M&S e-Gift Card. At first, this appears to be one of the most enticing free gifts we identified and one which would appeal to many prospective customers. But letís dive into the small print and see if every policyholder is entitled to claim this free gift? As with all the different policies we researched, the answer is ‘no’. The size of the gift card you receive is dependent on the cost of your monthly premium. Having appropriate insurance cover should typically be seen as being essential for most motor trade businesses. That’s because whether your business is large or small, it will be exposed to a range of risks. Should misfortune strike, the financial consequences might be catastrophic unless you have what’s called motor trade insurance (also known as motor traders’ insurance) in place. 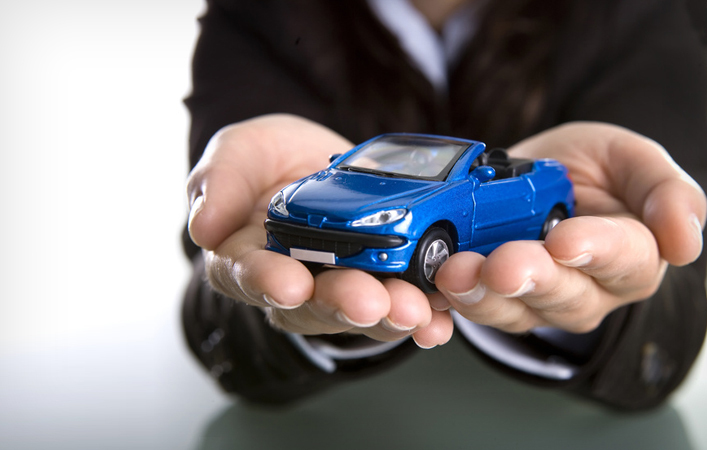 Let’s examine just what motor trade insurance typically means, though please keep in mind that the cover provided by individual policies might vary, as might their terms and conditions. It is always important to thoroughly read a policy prior to purchase in order to be sure that it is an acceptable match to your requirements and circumstances. 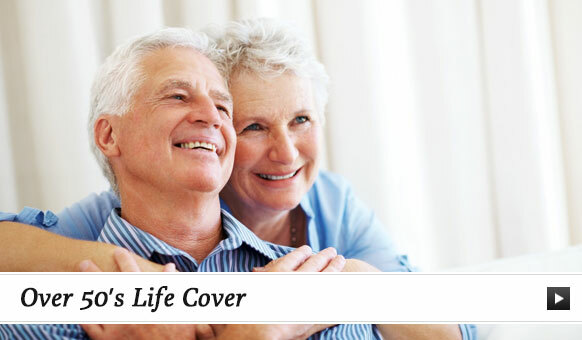 Over 50 life insurance is often called funeral insurance – and for the very good reason that such policies make an ideal way of putting away a little money each month so that it may eventually be used to help pay for your funeral when you die and the insurance policy pays out. Do you remember when you secured the mortgage for the property you are buying that the lender made it a condition that you maintained sufficient building insurance throughout the term of the mortgage? You probably arranged the cover – and thought no more about it, except to renew it each year. But if you leave your property temporarily unoccupied, that regular building insurance might be restricted or even lapse altogether, so not only leaving the property vulnerable to loss or damage but also put you in breach of the mortgage conditions you agreed. How might such a state of affairs arise? Whether it is your own home, property you have bought to let or commercial premises in which you have invested, your insurance cover remains valid for as long as it is occupied on a more or less continuous basis. But then you might leave it unoccupied for a month or more while you go on an extended holiday or build an extension, during a change-over of tenants if you are a landlord or investor in commercial property, or whilst the property in question is subject to probate. In these, or several other instances when the property is left empty and unoccupied for longer than 30-60 consecutive days, however, insurers typically restrict the cover on the property and may even regard it as having lapsed altogether. an empty property attracts all manner of unwanted attention, from the likes of burglars, squatters, vandals and arsonists – the British Institute of Facilities Management (BIFM), estimates that British property suffers some £500 million in damage through vandalism and arson every year. When your current property insurance is downgraded because the building is temporarily vacant, unoccupied property insurance steps in to fill the void. As a standalone insurance policy, it may provide as much, or as little, cover as you choose – for the duration of the period you expect your property to be standing empty. You may need to check, however, that the level of cover you choose restores the undertaking you gave to your mortgage lender to keep the building adequately insured. Unlike many other types of insurance, unoccupied property insurance may be purchased solely for the period you expect the premises to be empty. Rather than having to commit to a full 12 months, therefore, you may choose to arrange cover for just the number of months you expect it to be standing empty and unoccupied. 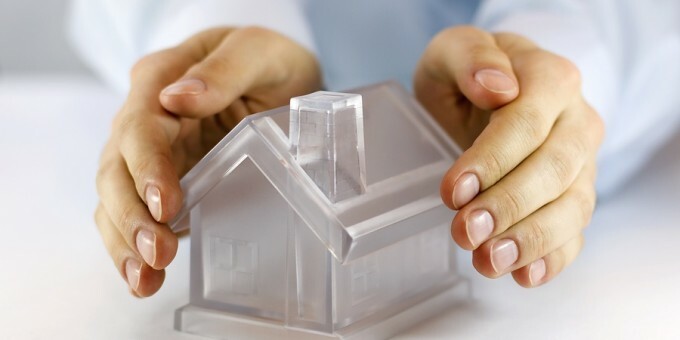 What kind of insurance do property investors require? Investing in property has long been a good way to generate income. After all, there will always be people out there who need somewhere to live but are unable – or unwilling – to buy their own place. So, if you’ve got the funds to buy a development to let out to tenants, you could make some significant earnings. Before you get too carried away with planning what to do with the money you receive from tenants or lofty ambitions for expanding your own property empire, you need to make sure you’ve got adequate protection in place. 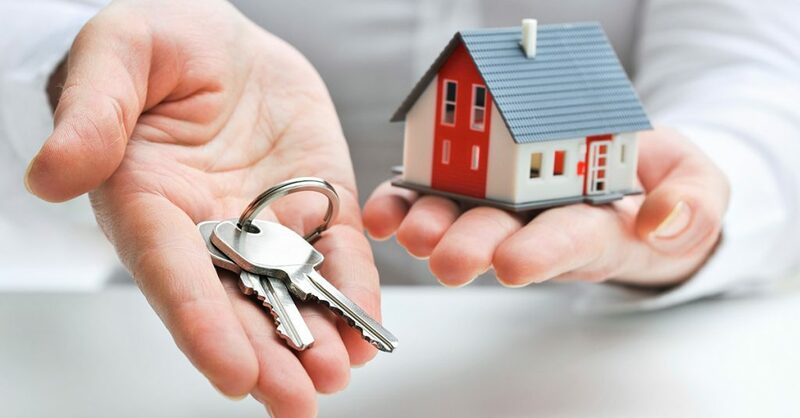 Investing in a set of homes, of course, represents a substantial financial commitment, so you should really do everything possible to be sure your investment will stay safe. So, how do you go about doing this? It’d be a mistake to think you can get the same kind of home insurance policy that you currently have for your actual residence, as there are a host of additional risks and eventualities that you will need to plan for. As such, specialist cover is required, which is where high-risk home insurance from brokers can be of assistance. Whether you’re looking to convert a large house or barn into a set of flats or taking over the management of an existing apartment block, you need to ensure you have a high standard of insurance in place. As a complex of investment properties is likely to have a greater net worth than your actual residence, you should make sure the limits of your cover are high enough to accurately reflect their value. One vital consideration property investors ought to check for is building cover, as this can ensure you’re covered in case your homes suffer from flood or fire damage. Before you are able to let out your properties, you might need to carry out substantial improvements – especially if the development requires converting so it is suitable for residential use – so it’s worth ensuring you’ll be fully covered while tradesmen work on getting your place into shape. In addition, you should think about whether the homes you let out are going to be pre-furnished. If this is something you decide to do, you ought to incorporate contents cover so that items such as carpets, fridges and other household appliances you own will be protected. Of course, you’re not going to be living in the properties that you let out, but you ought to make sure you won’t have to pay for repairs to your homes that have been caused maliciously. Cover to protect damage done by tenants can be easily incorporated into an insurance policy, so you don’t have to meet the burden of replacing broken windows or doors directly out of your own pocket. It is, obviously, a good idea to carry out thorough background inspections of the people who wish to rent one of your homes before you accept them as a tenant. You don’t want to rent to people who are unlikely to look after your property so such checks may help you reduce the chances of having to make a claim. Regardless of what kind or how many residential properties you’re hoping to invest in, having comprehensive cover can provide vital financial protection. If you’re considering stepping on to the buy-to-let ladder for the first time, or already own a number of homes that you let out, why not share your experiences with us? We all know about regular identity theft, where someone steals your identity in order to drain your bank accounts and run up your credit. For many, this is a huge problem that’s only going to grow as criminals get better at stealing information from the cloud and other big information sources. But what if you start relaxing because you don’t have any money to really take? 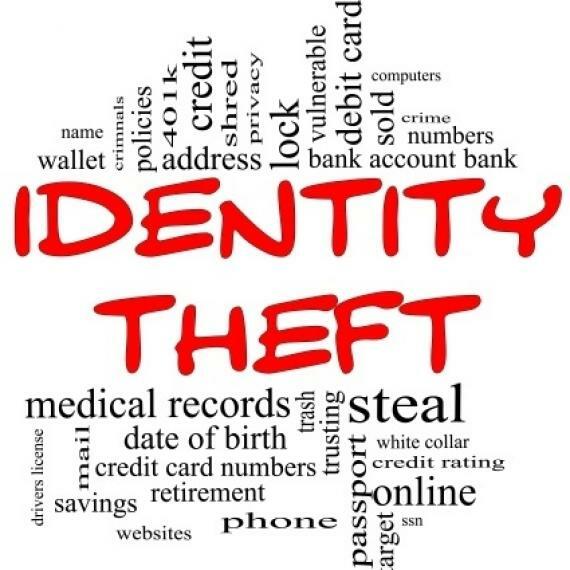 Thanks to the rise in medical identity theft, you might not be as safe as you imagine. Just because criminals can’t run up credit you don’t have or open new accounts doesn’t mean that you’re completely protected. They can still use your identity to access medical services, billing you for things that aren’t covered by the NHS. This type of theft costs consumers a great amount of money, with seemingly no end in sight as criminals are getting more sophisticated, not less. Are there any strategies in place to finally solve the problem for good? Well, there are some steps that you can use to protect yourself a little more from identity thieves. The first step is to know how your information will be stored, and for how long. We leave behind a larger information trail than we realize. We’re always filling in information cards in order to get services. When we leave a service, that information isn’t always deleted. Ask companies how they’re storing and using your information. If the representative doesn’t know, file an official inquiry with the corporate website. Usually they have this information buried somewhere on the site, but companies are getting better at letting people know how their information is protected, stored, used, and even how the data is sold. Some data selling is expected, while you might be surprised at what companies are selling your data to other companies that may not be as protective. If you feel that you’ve been the victim of identity theft, you need to speak up about it. Get fraud alerts out there as soon as possible, so a full investigation can take place. In everyday life, it’s important to protect information you have around the house. People dig through garbage in order to find out more about you. Shredding sensitive paperwork is good, but disposing of it safely is even better. There are secure shredder companies that not only shred your data, but they can dispose of it in a way that thieves don’t have access. All of these steps might sound a little like too much work, but it’s best that you at least look into things as much as possible. Good luck! Running a car has never been cheap but the rising cost of insurance means that some drivers have had to resort to loans to pay their premiums. Car insurance companies have been forced to raise prices because of the increased expenditure that many have faced due to personal-injury claims as well as fraud. Some sources claim that despite the high premiums, some insurers make little or no profit because costs have risen so high. However, insurance is a necessary evil as it is illegal to drive on British roads without it. The laws have recently changed and it is now also illegal to own a car without insuring it, even if you do not intend to drive it. The only exceptions are vehicles for which a Statutory Off-Road Notification has been completed and the car is kept in either a private drive or garage. Any vehicles left parked on a public highway are required to have insurance, even if they are never driven. They may seem like an excellent addition to your family household, but puppies, kittens, and any other small fury animals don’t stay small for long. One minute they’re eating out of your hand, the next they’re chewing on the sofa, pooing on the carpet, and destroying the garden. Subject to popular belief, many home insurance policies don’t cover damage to your property by animals, so instead of trying to uncover your policy from the mountain of paperwork in your kitchen, why not make steps to try and prevent damage instead. Pets can cause all sorts of damages to a home, especially if your dog looks anything like Beethoven. From tearing down curtains to scratched leather, slobbery shoes to urine floors, even the smallest pet can cause a large amount of damage. Although there are some great pet training academies all over the UK, some can be extremely expensive, so in order to save your wallet as well as your home, here are a few ideas to keep your pet’s destructive nature to a minimum. No matter how lovable your pets are, your home should always come first, and this means finding the right type of insurance that will offer cover from damage caused by animals. Although many insurance policies offer additional extras when it comes to covering pets, medical expenses for example, many don’t include extras to cover damage to your home that’s caused by animals. In this case, you should be looking for a stand-alone policy that’s separate to your home insurance. When it comes to protecting your home, vigilance is the best insurance policy you can have. Keeping an eye on your pets at all times, as well as coving any expensive furniture with protective sheets is a great way to keep your house in shape, and it will also do wonders for your finances too! You may not be able to cover your home for any damages from your pets, but you can ensure that your pets aren’t hurt in the process of destroying your home! There are many different types of pet insurance, and buying a policy is relatively easy – basically the same process as buying car or contents insurance. As well as having the financial peace of mind that your wallet isn’t going to take a battering, you’ll also be safe in the knowledge that your pets will be cared for no matter what the injury. Some policies even entitle you to rebates for any tips to the vet, and can also pay you a sum when your pet dies. What Happens if a Friend’s Pet Wrecks My Home? Although accidents like this do tend to happen, it’s highly unlikely that you’ll be able to claim on their insurance, let along your own. The best thing to do is take up the situation with the pet’s owner, whether they’re a friend or family. If things still aren’t settled, then the only other option you have is to take the pet’s owner to court. I’ve heard of payment protection insurance but what exactly is it? PPI (payment protection insurance) is a financial product of the insurance to that is designed to protect individuals in the event that you cannot make a payment for some unforeseen reason in the future, it is a protective insurance arrangement that is designed to provide peace of mind for people that wish to protect their payments from any future issues. The way this works in practice is if an individual defaults on a payment, then the insurer will make this payment on their behalf because the customer has paid into an insurance policy previously, this is known as payment protection insurance and it goes by many different names including: payment cover, payment protection cover, loan care, and accident and sickness cover/insurance. In principle, payment protection insurance (PPI) should be a good financial product however the issues with PPI and not with the product itself but rather with the way the product has been marketed to British society, by the major financial corporations and providers of loans, mortgages, store cards, and credit cards. So what is the problem with PPI? The problem with PPI and the way that it has been marketed to British society is a misleading way in which it has been forced upon the British public. Most of the major banks and many of the major mortgage providers and long providers and providers of credit cards have all sold payment protection insurance in a way which is either made the products seem as though it is obligatory or in a way which was less than transparent. Not only that but in certain cases people have been tricked to thinking they need this insurance by the unscrupulous sales methods of many of the major financial corporations, meaning that there have been a huge amounts of people who have been misled into taking out insurance that they did not need in the beginning. So what are the knock-on effects of this? This means that millions of people across the United Kingdom have been mis-sold, misled, and basically “ripped off”, for over a decade. The amount of money that was taken from customers all over the United Kingdom under false pretences is thought to be in the billions, with millions of people all across the nation all unknowingly having these policies attached to loan agreements, credit cards, and all manner of long-term financial agreements. People of the UK are owed billions collectively, in compensation for the actions mentioned above. What can British residents do about the problem? You can write a letter to the financial ombudsman detailing how you feel you have been mis-sold payment protection insurance expressing your dissatisfaction and discontent, also mistrust of the major financial corporations working in and around the UK. You can also write to the banks detailing how you wish to make a complaint about what’s happened, and their actions and asking for a refund on any policies that you feel were mis-sold by them. All you can make contact with a PPI claims provider, who can handle your claim on your behalf if you choose not to take this up by yourself.